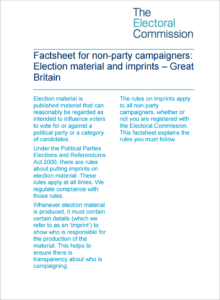 As a grass-roots DIY election campaigner, there is just one law that you need to follow – the ‘election imprint’. You or your group do not need to register with anyone as a campaigner to deliver flyers or run a social media account. 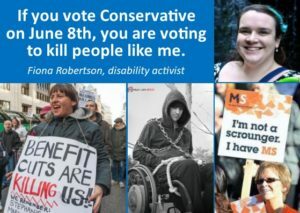 All anti-Tory flyers, and paid Facebook ads, are defined as “election material” and regulated by the Electoral Commission. So, there is one point of law that you must always follow. While the “Printed by” name will be the name of the print firm, the “Promoted by” name must be a person’s name. 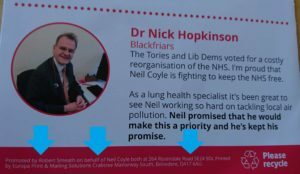 If you order from a printer and pay for a box of leaflets you are the promoter of those leaflets, even if you didn’t design them. This means that you have to print your name on every flyer together with a postal address through which you can be contacted. This is the law. If you don’t feel ready to print your own name on thousands of anti-Tory flyers, that’s very understandable. But do you maybe have a colleague, friend, relative etc who might be willing to act as promoter instead? This just means their name and payment details would go on your order at the printers instead of yours. The promoter doesn’t have to be personally involved in distributing the flyers once they’ve been printed. The promoter’s address you print on the flyers does not have to be anyone’s home address! So, it could be an office address… but there are other choices too. So it doesn’t need to be somewhere you normally receive post. Clearly, it does need to be somewhere you can genuinely be traced through, in the unlikely event of the Electoral Commission investigating your flyers. This means somewhere the people answering an enquiry at the address you’ve given know you and have your details, or can look you up. Don’t give the address of somewhere where they’ve never heard of you! If you’re putting a group’s address, you should omit the name of the group, unless you’re acting on behalf of the group with its full agreement. Just give the street address where an official enquiry could (in theory) be made about you. Don’t have a suitable address? Do you have a relative, friend or colleague that can help you with a non-residential address at which you can be contacted? On all printed material, don’t forget to include the name and address of your printing firm too. The relevant election laws were written before the birth of modern social media such as Facebook or Twitter. However, the Electoral Commission do regulate social media expenditure. On social media imprinting, they use very different language to their stern “musts” regarding imprinting all printed material. They state that “as good practice” you “should” make an imprint available on social media posts where practicable. 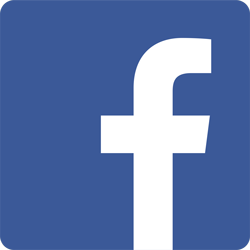 You don’t need a “Printed by…” entry on social media. Just complete “Promoted by…” the same way as above. Extra resources for potentially big-spending anti-Tory campaigners who might hit the £9,750 constituency spending limit, or the £20,000/£10,000 national registration thresholds. This webpage is a good-faith guide to legal issues, but is not written by a lawyer and does not represent not formal legal advice. The Electoral Commission run an advice line on 0333 103 1928. #StopTheTories Channel obeys election law and provides information for others on how to do so. We are NOT suggesting that anyone distributes any printed election materials without a correct legal imprint. We do not condone, and will not defend any criminal or civil consequences of, any reader of this website using the site’s resources in any act of breaking electoral law.